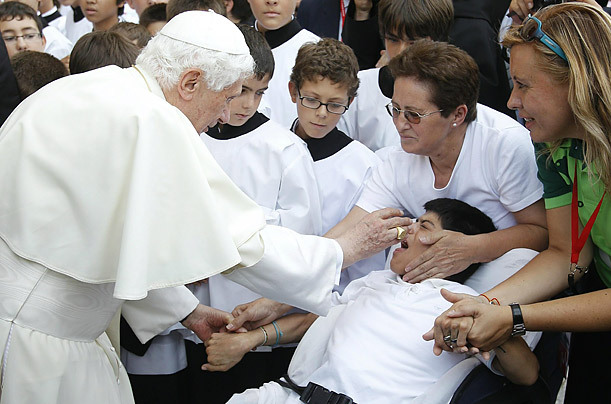 Pope Benedict XVI greets a disabled member of the Escorial's schola cantorum after his meeting in the Monastery of the Escorial. On the second day of his trip to Madrid, Benedict XVI met with young nuns and members of religious orders and Catholic university professors at the Escorial. Why Have Spain's Demonstrations Surged? Could It Be ... the Pope?